TIBET AWARENESS – TIBET’S ECOLOGICAL DISASTER: RED CHINA’S MALICIOUS DESTRUCTION OF TIBET’S FRAGILE ENVIRONMENT IS LEADING TO WORLD’S MAJOR ECOLOGICAL DISASTER. Red China’s malicious destruction, degradation, and exploitation of Tibet must be stopped to save billions of people living in Southeast Asia from consequences of Tibet’s ecological disaster. The Spirits of Special Frontier ForceAt Special Frontier Force, I host ‘The Living Tibetan Spirits’ to promote Tibet Awareness. Hong Kong, Aug.29 (ANI): The establishment of People’s Republic of China in 1949 led to efforts to greatly expand agricultural production in China. The ensuing proliferation of irrigation wells sped ahead of the natural rate of replenishment of aquifers that were their source. As a result, regions of China, particularly the arid north, have accumulated a considerable water deficit. This deficit has been further worsened by industrialization and the pollution of groundwater tables. Considering that the Tibetan Plateau is home to some of the world’s most extensive underground aquifers, China’s interest in the exploitation of these resources is obvious. Since the completion of the Golmud-Lhasa Railway in 2006, many such projects have been planned. A Wilson Center report points out that China’s South-North Water Diversion Project has a ‘Western Route’ planned that will tap three tributaries of the Yangtze on the Qinghai-Tibet Plateau. While the route has received extensive criticism from Chinese and foreign academics alike, the line remains planned. The project is “definitely not meant to develop Tibet”, according to Tibetan natural resources expert Tashi Tsering, as it takes water from rivers dependent on glaciers that are receding, and will hurt the availability of water in Tibet itself. 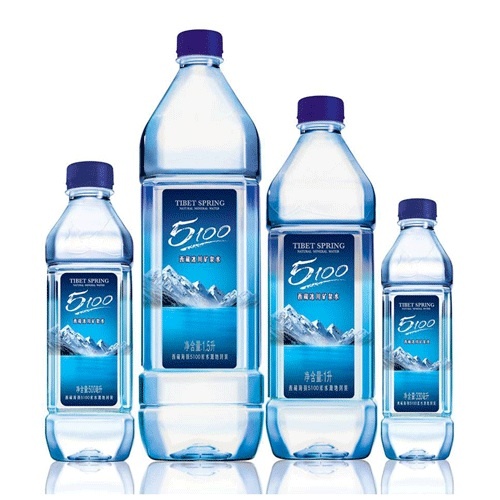 In 2014, the Tibet Autonomous Region produced 300,000 tons of bottled water, including the premium brand Tibet Spring 5100 which, as per the Wall Street Journal, has overtaken Evian and Perrier as the most coveted premium water seller in Chi. Lobsang Gyaltsen, Chairman of the region, has disingenuously claimed that Beijing wished to “strike a balance between economic development and environmental protection” in the development of the bottled water industry. As if this was not enough, several concessions have also been offered to water manufacturers in the region, with authorities hoping to raise bottled water output to five million tons by 2017. Concerns have been raised by academics as to the impact on environmental protection. An article in the Vermont Law School journal reveals that the industry in China has “antiquated and lax regulations”, and highlights the energy intensive nature of bottled water production. Considering that the mega dam projects are routinely being pushed through without adequate environmental impact assessments, it is not a stretch to assume that bottling plants may be getting past with even more lax controls. Known as the world’s Third Pole, the glaciers on the Tibetan Plateau feed the Salween, Mekong, Yangtze, Yellow River, Indus, Ganges and the Brahmaputra. Collectively, these rivers directly sustain 1.3 billion people. Relentless pollution by the expanding footprints of Chinese industry has led to climatic change and to average temperatures on the plateau rising thrice the global speed. Even according to Chinese scientists, 95 percent of these glaciers are now receding. The retreat and melting of these glaciers will first lead to massive flooding along each river, and then rapidly lead to chronic and devastating water shortages for billions. While the development of several hydroelectric power plants in the area is lowering reliance on thermal energy, concerns have arisen over the magnitude of the new construction – and its effect on the paths of the great rivers. Many countries downstream have already protested such development. For Tibetans, more dam construction will lead to a reduced rate of flow of the rivers that sustain them, making subsistence farming unpredictable for those dependent upon it. A 2003 report on “Ecological Improvement and Environmental Protection in Tibet” published by the Chinese authorities, mentions that Tibet before 1950 was “in a state of passive adaptation to natural conditions and one-way exploitation of natural resources”. The Chinese are being disingenuous at best, and malicious at worst, by ignoring the sustainable agriculture practices that existed among nomadic Tibetans. Historically, Tibetan Drogpas have been the protectors of the great Tibetan grasslands. Development policy expert Gabriel Lafitte says that: ‘nomadic knowledge of how, when and where to graze, and the nomadic willingness to live in portable woven yak hair tents, summer and winter, with their animals, kept the pasture free of invasive toxic weeds, erosion, shrub invasion, and infestations of pests’. Under the commune system, starting in 1958, Chinese authorities moved the herders into small communes and stripped them of their possessions. They were forced to adhere to quotas of production, leading to greatly expanded herd sizes. Ignoring nomadic advice as backward and irrational, the authorities pressed forward until the late 1970s, when the communes collapsed, with depleted grasslands and unsustainably large herds. Land reform in the 1990s offered a glimpse of hope in that it gave nomads long-term leases over pastures, encouraging the same traditional modes of care. However, other policies gradually encroached on the mobility of the nomads, and limits on family and herd size were made compulsory. These concurrent policies failed spectacularly due to a lack of understanding on part of the authorities, who promptly scape goateed the nomads, pushing through the Restore Grasslands Policy in 2003. This nullified the traditional biodiversity conservation skills of the nomadic people. Nomads were forcefully resettled into villages. The overuse of the 1950s continues to affect the ecological situation today, which is now being worsened by mining, agriculture and road construction in the region. Indeed, the resettlement of nomads has also led to negative consequences. Research has shown that a certain sustainable amount of grazing is better for the grasslands than leaving them completely open as was done after 2003. The actions of the authorities in the region have exposed the once-vibrant grasslands to desertification, further damaging the ecology of Tibet. Chinese practices in Tibet can be seen at best as damaging, and at worst as actively exploitative. The massive water transfer projects will lead to the diversion of important riverine resources; the bottled water industry is essentially unregulated. Mining projects continue unchecked, with foreign firms invited to participate in the plundering of Tibet. Dam construction threatens local ecosystems and the flow of rivers that sustain billions of people – and is done without environmental impact assessments. The forced resettlement of nomadic tribes has led to the degradation of grasslands and the encroachment of deserts into once-living areas. All of these threaten the people of Asia, dependent upon Tibet as a water source. More acutely, however, they represent the Chinese attitude to Tibet and Tibetans as a people. The lack of respect for native customs is indicative of the disdain with which Tibet is treated; the eager seizure of natural resources shows a lack of willingness to understand Tibet itself. Indeed, the manner in which China is administering Tibet in regards to ecological issues is similar to the way European powers once exploited their colonies for their natural bounties. It would be wise now to remember that those colonies were, and continue to be, ravaged by the damage perpetrated on their environment and their cultures. So, the 50th anniversary of Tibet Autonomous Region on September 1 will be an occasion of pride and self-congratulation for Beijing, but for Tibet, only another opportunity to count what it has lost and might never regain – the autonomy of its ecology, of its culture, and its way of life. 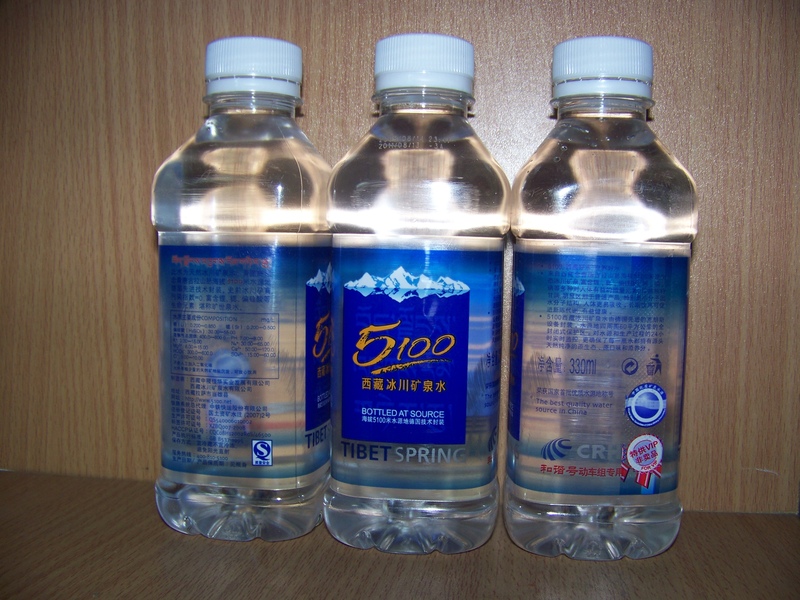 TIBET AWARENESS – TIBET’S ECOLOGICAL DISASTER: TIBET SPRING 5100 BOTTLED WATER IS JUST ONE SYMPTOM OF RED CHINA’S EXPLOITATIVE PRACTICES IN OCCUPIED TIBET.